Whether you live in Auburn, Colfax, or the surrounding areas, as the temperature gets colder, you will start to see more spiders, especially the wolf spiders. They are fast and agile hunters. They are nocturnal so they tend to hunt and are more active at night. In our foothill area the wolf spider averages the size of a quarter but they can grow up to the size of a half-dollar. They are typically brown with two white stripes down the head and abdomen which is not very flashy as they count on camouflage to keep them safe. Wolf spiders have 8 eyes that are in three rows. The bottom row has four small eyes, the middle row has two very large eyes, and the top row has two medium-sized eyes (which they count on their great eyesight to hunt) These spiders have a unique way of carrying the eggs in a silky round sac that is attached to their spinneret (which is where the web comes from to trap their prey) Even though they have this burden to carry, it does not hinder them from day to day living. Once the spider-lings are out of the sac, they immediately crawl up the mothers leg and squeeze their way on to her abdomen. Once they are able to survive on their own, they will scatter in your home, most wondering around without ever establishing a permanent residence. Like all spiders, wolf spiders do contain venom, and if bit common types of reaction include swelling, mild pain, and itching. 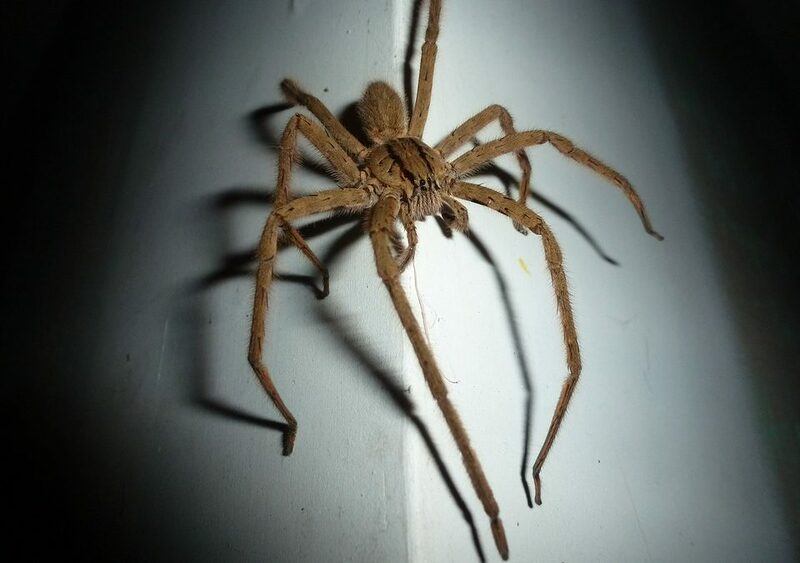 If you’re noticing more spiders around and inside your home, call Gold Miner Pest Control at 530-346-8379 we will be happy to take care of the Placer and Nevada Counties.